← Criminal code exemptions for online gambling, so why not for raw milk? Supporters and media are not being encouraged to show up at the courthouse in Cobourg for the proceedings this Wednesday March 27th. As Karen Selick states in the media release below, the actual trial of this case will be many months in the future. Legal counsel for the defense, however, will be seeking changes to travel restriction which are currently a part of bail conditions. 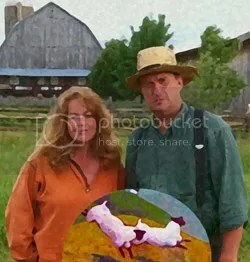 Belleville—The Canadian Constitution Foundation (CCF) confirmed today that their clients Montana Jones and Michael Schmidt will appear in Provincial Court in Cobourg, Ontario on March 27, 2013 in connection with charges relating to the disappearance of 31 rare Shropshire sheep in April, 2012. The proceedings will take place at the Provincial Courthouse, 860 William Street, Cobourg, Ontario commencing at 9:30 a.m. on March 27, 2013.